where you can improve your business English. 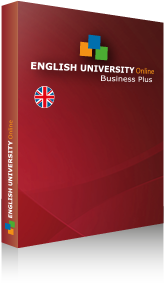 The ENGLISH UNIVERSITY Online multi-license is an ideal solution for a company that wants to control costs and also enable its employees to develop their language skills. This solution is suitable for online self-study of employees as well as for “blended learning”, where standard lessons with a teacher alternate with e-learning, which saves finances and time. Contact us at info@englishuniversity.eu. We will be happy to answer all your questions and provide the required number of licenses to you. Administrative accounts for the management are part of the company multi-license, free of charge. Using their complex progress reports, the results and study effectiveness of each employee can be viewed and downloaded.